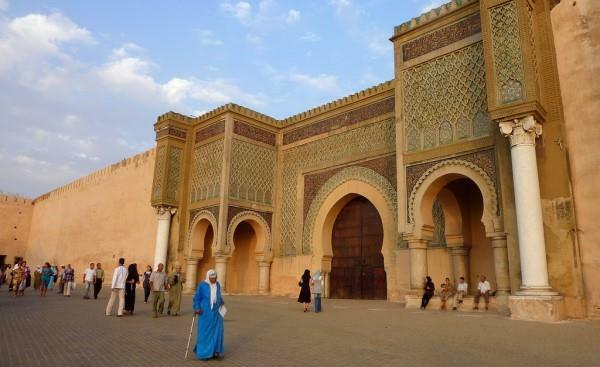 (MENAFN - Morocco World News) ">Rabat – Famous travel guide publisher Lonely Planet has chosen Meknes among the top 10 cities to visit in 2019. Meknes came at the after Copenhagen (first), Denmark; Shenzhen (second), China; Novi Sad (third), Serbia; Miami (fourth), the US, and Kathmandu (fifth), Nepal. Lonely Planet also listed Mexico City in Mexico, Dakar in Senegal, Seattle in the US, and Zadar in Croatia as cities to visit in 2019. Meknes is located about 60 kilometers west of Fes and 155 kilometers east of Rabat. 'The notorious war-mongering sultan who moved Morocco's capital to Meknès in 1672 would be turning in his grave if he knew how few visitors the city receives today compared with Fez and Marrakesh,' wrote Lonely Planet. The number of tourists visiting Meknes has increased since last year. Overnight stays moved from 12,871 in January 2017 to 16,172 in January 2018, up by 26 percent. However, Meknes has lower visitors compared to other tourist cities in Morocco. Fes recorded 69,357 overnight stays in January 2018 compared to 51,341 in January 2017, up by 35 percent. Marrakech, the leading Moroccan tourist city, received 542,514 overnights stays in January 2018 compared to 422,850 in the same period last year. Meknes is also famous of the mausoleum of Sultan Moulay Ismail and its old medina. 'At the heart of the city, Ismail's elaborate mausoleum is a national treasure and it’s scheduled to emerge soon from a two-year, top-to-toe restoration, giving travellers more reason than ever to visit this under-appreciated imperial city,' wrote Lonely Planet.